Lancashire CCC have announced the signing of Australian all-rounder Glenn Maxwell. He will play in all three formats for the club in 2019 and his arrival follows that of countryman Joe Burns, who will figure in 10 Specsavers County Championship matches next season. Maxwell, who recently opted out of this year’s IPL, will be available for the Royal London One-Day Cup, Vitality Blast and will also play a maximum of five Specsavers County Championship games. 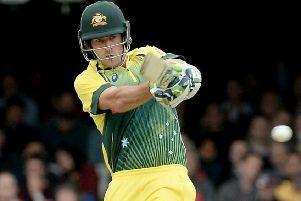 Maxwell played a vital role in Australia’s ICC Cricket World Cup triumph on home turf in 2015, scoring 324 runs at an average of 64.80 with a strike rate of 182.02, while also boasting the second fastest century in World Cup history from just 51 balls against Sri Lanka at the MCG. He also has a fine T20 record domestically, having played for Kings XI Punjab and Mumbai Indians in the IPL and Melbourne Renegades and Melbourne Stars in the Big Bash. Maxwell has previously had spells in England having played for Hampshire, Surrey and Yorkshire in the T20 Blast competition. 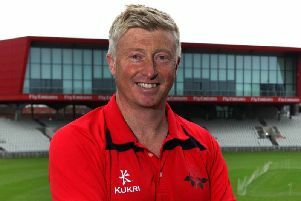 Lancashire’s director of cricket, Paul Allott, said: “Glenn is one of the most exciting cricketers in the world and we’re really looking forward to him joining Lancashire next year. “As a player and as a person, Glenn embodies what we’re trying to achieve. He’s a winner and the way he goes about the game will be an example to the rest of the squad. “He’s an incredibly committed, ambitious and passionate individual and he will fit into our side seamlessly. “Having pulled out of the IPL, Glenn indicated that he was keen to play some First Class cricket with us next season, and with Joe Burns signing for 10 games in the Championship, he will have an opportunity to do that. “I have really enjoyed my spells in England before and I’m determined to put in some match-winning performances for Lancashire in all three formats of the game. “Coming over to England early next year will also help me acclimatise to conditions ahead of the ICC Cricket World Cup which I am incredibly excited about. “I still have aspirations to play Test cricket for Australia so I felt it was important that I play some First Class cricket whilst I’m over in England. “The County Championship is an extremely competitive competition and I’m looking forward to being part of Lancashire’s red ball team.